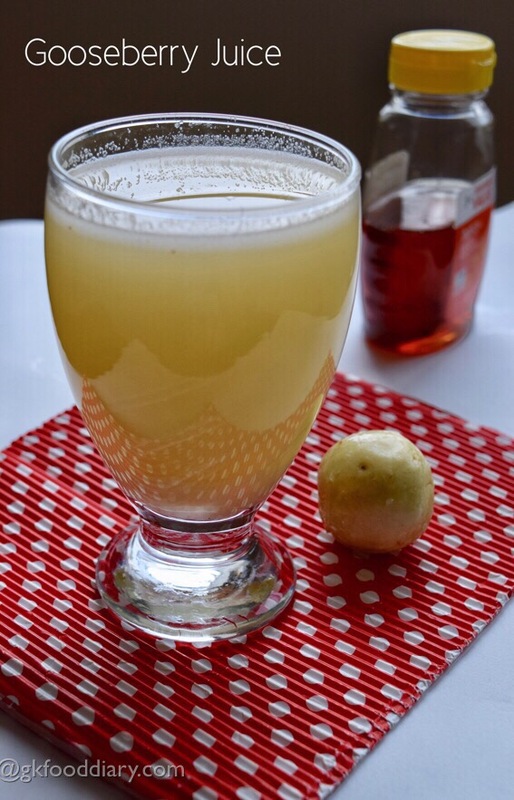 Indian Gooseberry Juice/Amla Juice- Super healthy juice recipe made with gooseberries. Indian gooseberries are best immunity boosters for kids to prevent from illness as its rich in Vitamin C, antioxidants and minerals. 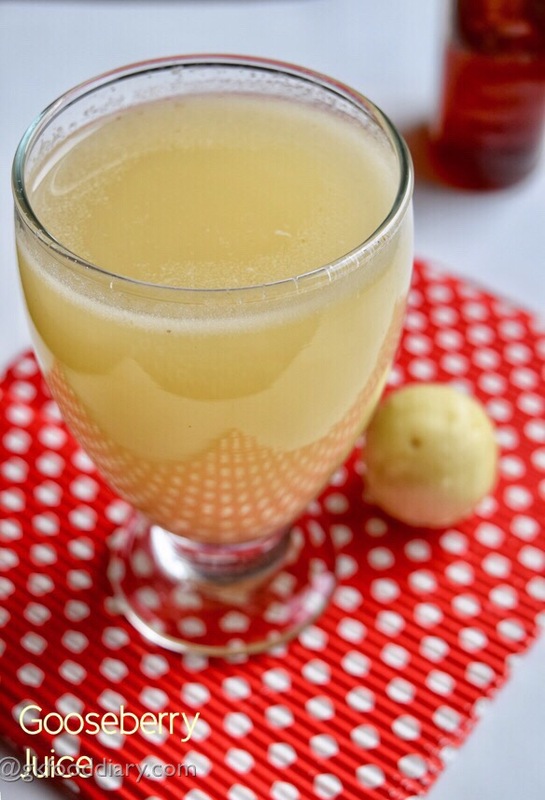 This gooseberry juice is one of the best ways to include them in your kid’s diet. 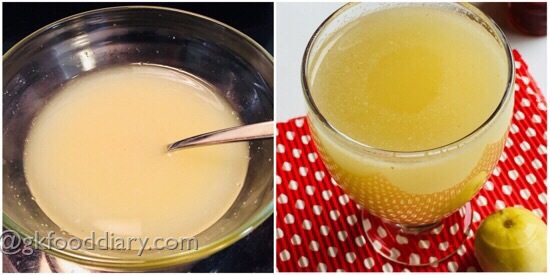 The quantity of gooseberry juice should be given less (say 1/4 cup) when you introduce this juice to your child as more amount might lead to stomach upset in some children. Gradually increase the dosage as per your child’s tolerance level. Check out other fruit juice recipes for kids here. Wash the gooseberries in running water thoroughly with a pinch of salt. Chop the gooseberries roughly and discard the seeds. 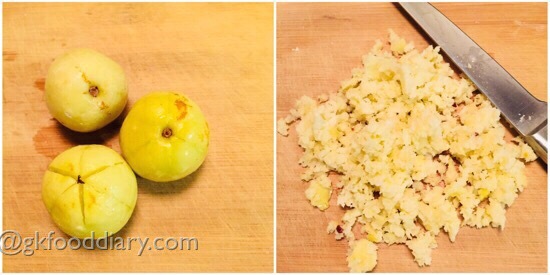 Take the chopped gooseberries in a blender along with a cup of water. Grind it to a smooth paste. 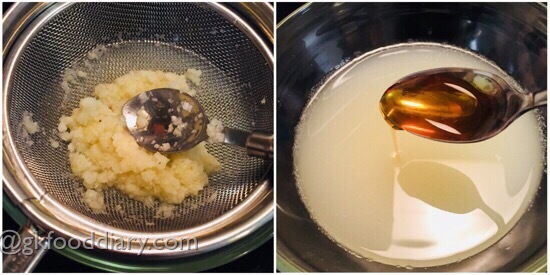 Then Strain the juice through a strainer, slot with a spoon and collect the juice in a bowl. Collect maximum juice as possible by pressing it with a spoon repeatedly. Then add honey to the gooseberry juice. 1. Wash the gooseberries in running water thoroughly with a pinch of salt. Chop the gooseberries roughly and discard the seeds. 2. 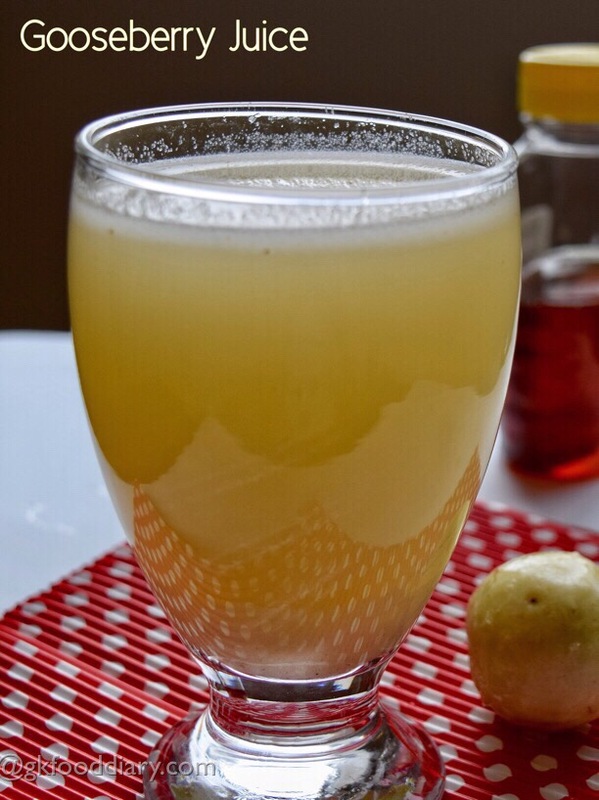 Take the chopped gooseberries in a blender along with a cup of water. Grind it to a smooth paste. 3. 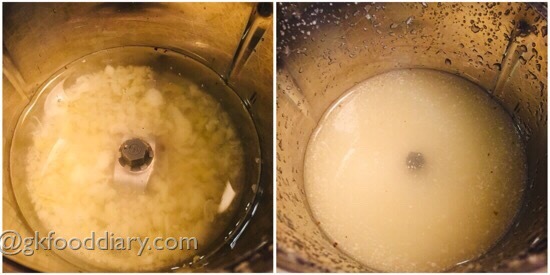 Then strain the juice through a strainer, slot with a spoon and collect the juice in a bowl. Collect maximum juice as possible by pressing it with a spoon repeatedly. Then add honey to the gooseberry juice. 4. Mix well and pour it in glasses and serve! 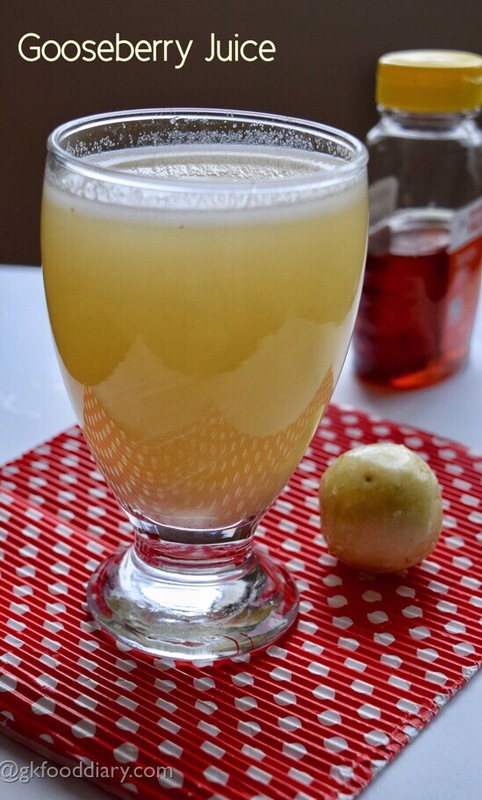 Serve the gooseberry juice fresh! You can add jaggery syrup instead of honey. Avoid this juice if your child has a citrus allergy. Always serve the gooseberry juice fresh.